…Read Feedback Shared From This Powerful Catch The Fire Conference..! TODAY you can purchase many of our teachings such as Sunday’s Miracle Service Overcoming The Spirit Of Disappointment! & anointed products such as The Miracle Pack! Look out for The Catch The Fire Bags with special items T-Shirt also included all for £20! This exclusive item will be sold from Today at our TKC Bookstore London! Visit our Online Bookstore today! Purchase fantastic life tools for yourself and a friend! Grab & LAY HOLD of great Teachings! If you can’t find what your looking for? Visit our alternative online store here! 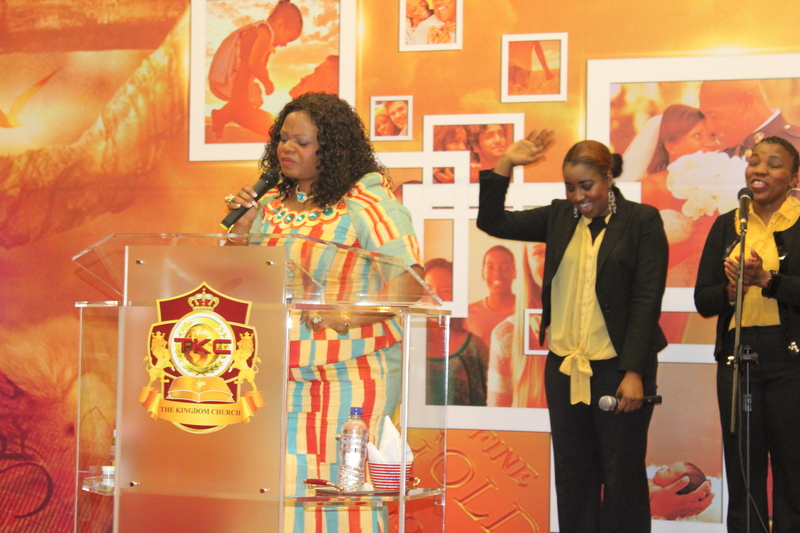 View Our Weekend in Pictures and Catch The Fire International Conference pictures this week! It’s all Happening at The Kingdom Church London all on our TKC London FB Page! 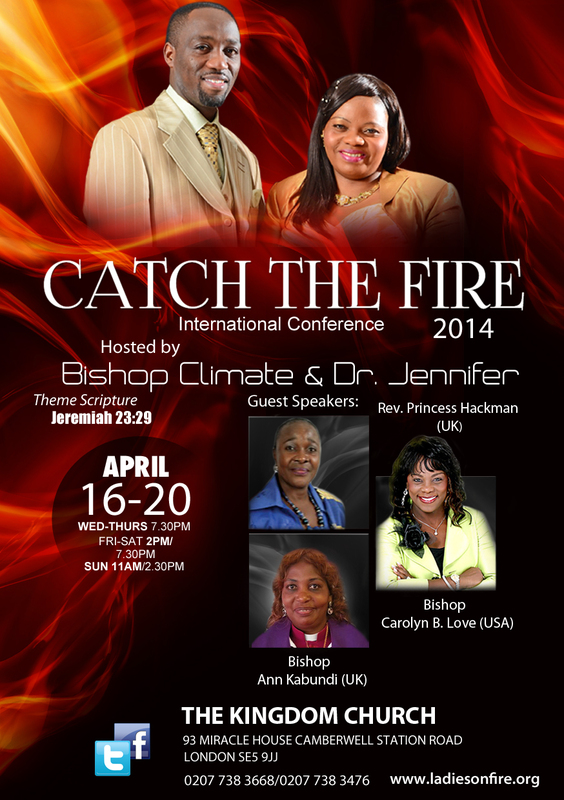 TKC London Catch The Fire International Conference Schedule: April 18th – 20th April 2014! Join us Tonight 18th April for our special Good Friday service 18th April at 7:30PM! Come and Experience our special service this Good friday come and attend and hear a special word from God this easter season! Join us with hosts Bishop Climate Irungu & Dr Jennifer Irungu and special guests Bishop Carolyn B Love, Bishop Ann Kabundi and Rev Princess Hackman. Tomorrow 19th April join us at 2PM for The Marriage Session! Join us with hosts Bishop Climate & Dr Jennifer Irungu and the women of God for a powerful session on taking your marriage, relationship to another level! Tomorrow Easter Saturday April 19 at 7:30PM For an evening filled with lots of entertainment! Such as our TKC Wedding Show, Guest Artists, Special Dance performances & More! Join us for The Grande Finale Easter Sunday 20th April As We Celebrate Our Risen King! All of us at The Kingdom Church London will be wearing all white as we close this powerful conference! We would love for you to join us too! Join Us For Our Super Sunday Services! 9AM Sanctification Sunday join us to start your Sunday in meditation & prayer! Join us for our two special services 11AM Word Service & 2:30PM Miracle Prophetic Service! Come and take this month to another level! Experience anointing, hear powerful teachings, receive prophetic word over your life and more!